The Townhomes at Chapel Watch Village is a premier community of two and three bedroom townhomes. Conveniently located in the coveted Chapel Hill school district near the intersection of I-40 & Hwy 86 and directly across the street from a free UNC Park and Ride lot, Chapel Watch is just minutes away from UNC-Chapel Hill and Duke University. Less than a third of the site was developed, leaving in place great natural views of mature trees and an intermittent stream. 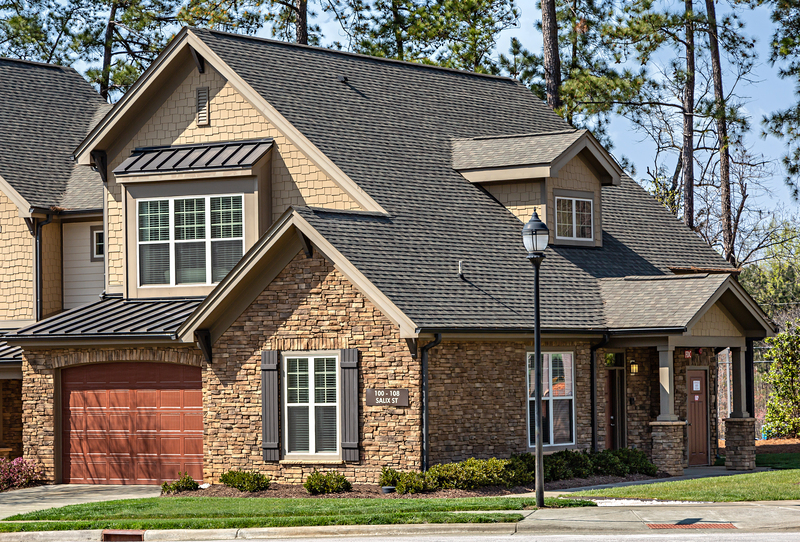 The craftsman style townhomes offer a variety of floorplans including downstairs master bedrooms, basement bonus rooms, one and two car garages, and island kitchens. Residents enjoy a true neighborhood layout complete with walking trails, a saltwater swimming pool, 24 hour fitness center, gated playground and fenced dog park. Chapel Watch Village is also an Energy Star and Earthcraft certified community!